The world is in trouble! Big, big, big, freakin’ huge trouble! The reason? No one takes ca$h! In my seemingly endless curiosity and lust for the iPhone 3G, I stopped by my local Apple store today to check out the machine first hand. First, I was shocked that nearly a month after its introduction, there was still a sizable line to purchase the device. Second, going with my gut, I asked a Mac Specialist if someone had to purchase the iPhone with a credit card (for some reason, this is how the iPhone rolls). The answer was yes. You cannot buy an iPhone with cash or a check, only a credit card. Then the aforementioned Mac Specialist told me that you could purchase an Apple gift card with cash and then buy an iPhone with the gift card. You can buy the card with cash but not the phone that you bought the card to buy. What’s more, last week — while in Mississippi for my grandmother’s funeral — my mom went to the bank to buy a money order. At the window she was instructed that she could not purchase a money order with cash. Instead they asked her to deposit the money, they would then write her a counter check, and she could purchase the money order with the counter check. Are you hearing this people? They no longer take ca$h at the bank! My friend, Jesse Ward, had a simple statement as his “status” on Facebook a while back and I think it’s worth repeating. It said, “Jesse Ward thinks society is losing control of itself.” Well, Jesse, I agree! Since I picked up Flip Video’s Ultra Camera, I’m hoepful of dropping more vlogs (video blogs), like this one. Only in the future, they may have more content. You may have noticed in the news today that the U.S. House of Representatives issued an unprecedented apology to black Americans for the wrongs committed against us and our ancestors who were oppressed and enslaved under slavery and the Jim Crow. Interestingly, the resolution was introduced by Steve Cohen, the only white representative from a predominantly black congressional district. I have to admit, I think the apology is long overdue, and the House was nicely able to side-step reparations while issuing the apology. To the U.S. House, I say: “Apology accepted!” But the apology should also look forward. Just today a report entitled, “Left Behind! Black America: A Neglected Priority in the Global AIDS Epidemic,” chronicles the fact that while America rightfully provides AIDS and HIV relief and education around the world, our efforts among blacks in the U.S. falls woefully short. For other countries, the U.S. mandates a national AIDS plan, while America has no such plan. If blacks in the U.S. were their own country, we would rank as the 16th nation in the world concerning the AIDS epidemic. Plus, AIDS is the leading cause of death among black women ages 35-44. I don’t want to say more than I mean, but I wonder if our response — or lack thereof — would be the same if it where another race of young women dying? We must be honest, AIDS is a behavioral disease (something we can’t do much about). At the same time, though, it is a disease borne of ignorance and lack of both education and opportunity (something we can do something about). But as a person who wants to give his life for the sake of the lives of others. And as someone who desires to serve and forgive those who don’t deserve it as Jesus does, I think it might be within our grasp to care for people suffering people right here at home. And for the times we don’t, I apologize. My brother, Richard, will soon be lining up in Raleigh, NC for his new iPhone 3G. I will not. Since my beloved Apple and their ill-advised choice for partnership, AT&T, have chosen to cut me out of the iPhone by offering it at “special” pricing (see previous post), I will simply keep rockin’ my Samsung. The frenzy over the new iPhone is something to behold. Just “Google” the phrase “iPhone blog” and you’ll get a taste of the craziness. Sorry AT&T, your greed for $200 extra dollars from me is now costing you $440. Good business move! During the last week I’ve flirted with Twitter as I couldn’t sleep. It’s an interesting concept. One question though: What makes us think that other people want to know what we’re doing every minute of the day? Try and tell me what you think. If you’re on Facebook tell me something: Are all your “friends” really your friends? I think Facebook friends should be real, actual friends. Some folks are simply collectors. In this space, I mention a lot of books that I read. And, I read a lot of books. This summer, however, I’m spending some time away from books; save Grisham’s The Brethren and Heim’s The Depth of Riches. So, instead of books, I’m offering up some alternatives for those of you looking for something to fill your summer hours. 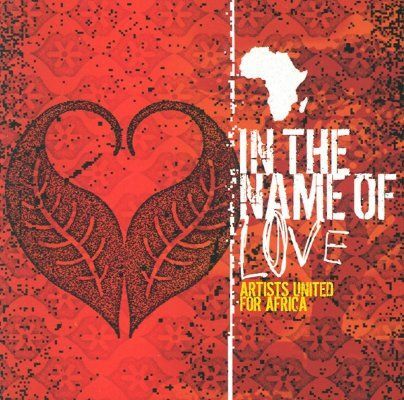 For music, you should pick up “In The Name of Love” by Artists United for Africa. Artists United for Africa is a group of Christian musicians that have reinterpreted some of the more famous and better songs of U2. “Pride (In the Name of Love)” – Delirious? 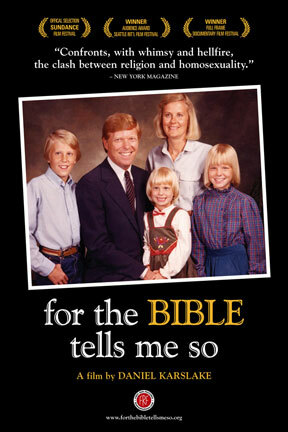 Rochelle and I also sat down to watch a powerful do cumentary entitled, “For The Bible Tells Me So.“ The documentary chronicles 5 Christian families and the way they dealt with a child’s homosexuality. In the movie, you will hear stories from family members, thoughts for some of the today’s best theological minds, like Richard Mouw and Peter Gomes, and be dared not to shed a tear. If you have GLBT friends or family members, this will touch close to home. You don’t have to agree with everything you see and hear, but all fair-minded, Christ-hearted people will be challenged and moved. I’m hyped about the new iPhone 3G, though it may be a while before I get one, but can you believe that in NYC, the line for the July 11 release, has been forming for nearly a week. Check this: An iPhone at a discounted rate may still be available for me since I’m a graduate student at ACU – the first university in the world to integrate and incorporate iPhone into learning. My problem? The phone I have now is 3G phone, I think, so I may not be elegible still. Anyway, if you thought I was over the top in saying that AT&T is stupid, check this out. I would come out $25 cheaper if I were to break my current contract, pay the penalty, open a new line of service, complete with activation fees, and purchase the 16g iPhone 3G ($299). Can you believe that? Apparently, there is NO ONE at AT&T that can do math.